The Setup Interview will get you up and running. Getting a new software application for your company can be exciting – and frustrating. Once you’ve installed it from the CD and opened that first screen, you’re ready to start using it. 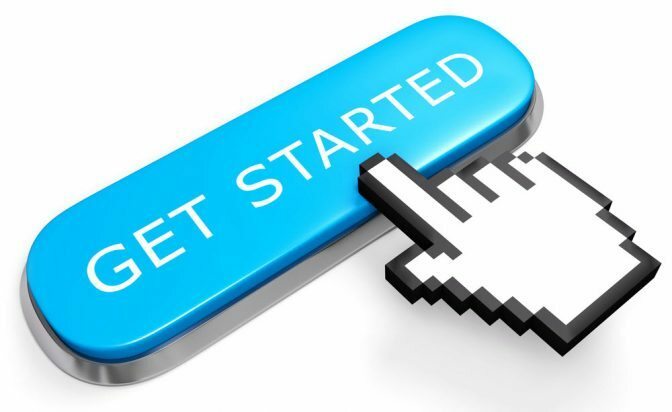 Let’s talk about getting started with QuickBooks Point of Sale. But you know that that’s not really possible with financial software. Intuit does a great job of moving you through the early stages as quickly as possible, but point of sale software requires that you build a solid base before you start ringing up sales. You shouldn’t have any trouble filling in the blank fields under the first tab, Receipt. You’ll enter the information that you want to have appear on receipts that customers receive. It’s not necessary to complete every field. When you’re done, click Next. QuickBooks Point of Sale then wants to know whether you collect sales tax and what the rate is. Click on the button in front of Yes if you do, and then enter your sales tax as a percentage in the field supplied. Enter the name of your tax agency in the next field and then click Next. If your answer was No, just click Next to move on. Warning: Your retail outlet’s geographical location may have multiple and/or more complex taxes that will need to be set up in Preferences. We can help you with this. Do you want to accept credit and debit cards for payment? You can set up an account through Intuit to do so, but here again, you might want our assistance. If you already have a merchant account established, you can click the button in front of Yes, and then click on the Edit settings link and check any boxes that apply. If not, choose No and move on; you can deal with this later. Figure 2: It’s fairly easy to accept credit and debit cards once you get your payment account set up. We can help you with that process. Intuit offers a Gift Card Service that works with QuickBooks POS, but you’ll have to have already established a payment account before applying online or calling the 888 number to set up your Gift Card service. If you don’t yet have a Gift Card account number, select No and click Next. This can be established at a later time. You may have purchased special hardware for your QuickBooks Point of Sale system, like a cash drawer or card reader. The next screen lets you set up the connection between this hardware and QuickBooks POS. Click the Setup button for any hardware that you want to have integrated with the software or the Configure/Test button for any hardware that has already been identified. Hardware/software connections do not always work perfectly from the start. If you have any problems here, please let us know right away. You can always come back to this. Click Next or Done to finish and close out the Setup Interview. You can return to it at any time through the File menu. QuickBooks Point of Sale can make you, your employees and your customers happier and more satisfied because of its automation and speed. But we recommend that you set aside a good amount of time for learning and training, and let us help you through the more complex sections.